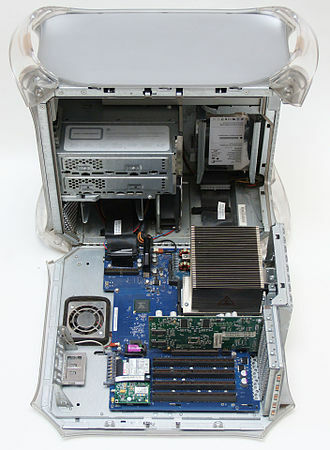 The Ferrari F2005 is a Formula One racing car designed and built by Scuderia Ferrari for the 2005 Formula One World Championship. 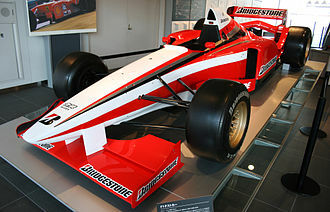 After 6 straight seasons of Ferrari winning the Constructors' Championship, and five straight Drivers' Championships, the F2005 was not nearly as successful a car as its predecessors, notching only a single victory, subsequently Ferrari scored their lowest result in the constructors since 1995. The main reason for Ferrari's lack of form was down to the Bridgestone tyres the team used, which were poor in comparison to the Michelin tyres that were used by the majority of teams that were competing for glory with Ferrari (Renault, McLaren, Toyota, Williams, BAR, Red Bull Racing and Sauber all had Michelin). The best result achieved all season was a one-two finish at the United States Grand Prix, where, due to Michelin claiming that their tyres were unsafe, only six cars competed (Ferrari, Jordan and Minardi all raced on Bridgestone tyres, the tyre they had been using all season). This was to be Ferrari's and Michael Schumacher's only race win of the season. 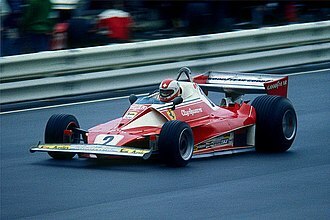 The most competitive races for Ferrari where all twenty cars competed were at the San Marino and Hungarian Grands Prix. 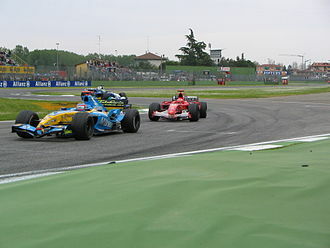 At Imola, Michael Schumacher qualified thirteenth after making a mistake in the second qualifying session the day before, but on race day Bridgestone were at their most competitive, with Michael storming through the field to challenge eventual race winner Fernando Alonso, putting a huge amount of pressure on the 2005 World Champion, but being unable to find a way past. As for the Hungarian Grand Prix, Michael Schumacher qualified on pole, almost a second ahead of second placed Juan Pablo Montoya (McLaren-Mercedes) and led the race on a track where the Michelin tyre was expected to hold an advantage over their Japanese rivals. Michael had a light fuel load, and was eventually beaten by McLaren driver Kimi Räikkönen, who at the end of the day had a better pit stop strategy. 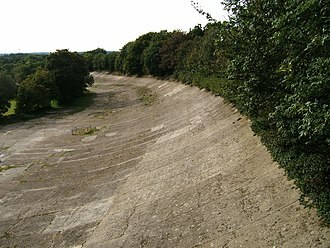 Apart from those two races, Ferrari often never looked in contention for race victories, and eventually finished a distant third in the Constructors' Championship, with Michael Schumacher and Rubens Barrichello suffering their worst championship positions in recent memory with Schumacher scoring 62 points, and Barrichello only 38 points. 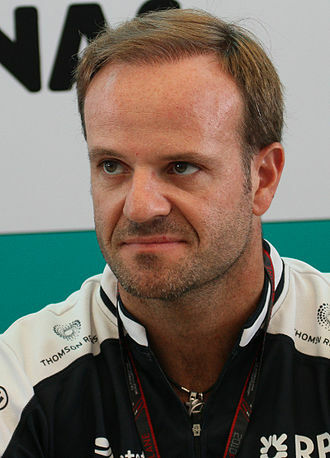 Barrichello left for the Honda team by the end of the season, and was replaced by fellow Brazilian Felipe Massa for the 2006 season. 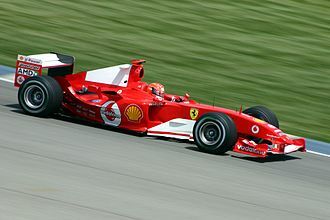 Wikimedia Commons has media related to Ferrari F2005. 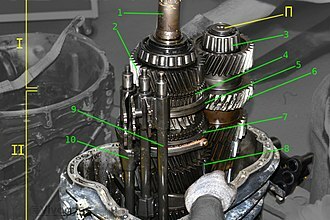 The 2005 Chinese Grand Prix was the final Formula One motor race of the 2005 Formula One season which took place on 16 October 2005 at the Shanghai International Circuit. This was the second Chinese Grand Prix to be held since the events 2004 inception, the race was won by the new World Champion, Renaults Fernando Alonso. McLaren driver Kimi Räikkönen was four seconds behind in second position, toyota driver Ralf Schumacher was third. 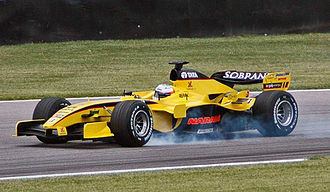 Renault won the Constructors Championship at this race, they had led McLaren by two points before the start of the race and this was the final race for Antônio Pizzonia, the Minardi and Jordan teams, although both teams continued into 2006 under different names. This was last win for a car equipped with a 6-speed gearbox, during a warm up lap as the cars were lining up on the grid from the pit lane, Christijan Albers and Michael Schumachers cars collided. Both were forced to start from the pits in their teams spare car, Alonso dominated the race, taking a lights-to-flag victory, capping a best ever season for Renault which included victories in both titles. The Ferrari 248 F1 is a Formula One car, designed by Aldo Costa and Rory Byrne for the 2006 season. 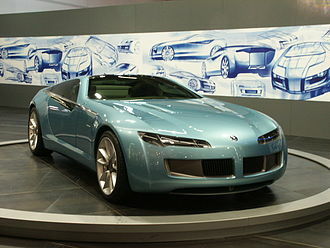 The car was named after its V8 engine,24 is the capacity in decilitres, the 248 model was driven by race drivers Michael Schumacher and Felipe Massa. The 248 F1 was the first Ferrari since the F1-2000 not to wear the number one, the car featured new sponsor decals such as Martini. This was Vodafones last year of sponsorship for the Scuderia as they announced that they would switch to McLaren Mercedes as title sponsor, the car was an update of the previous years F2005. 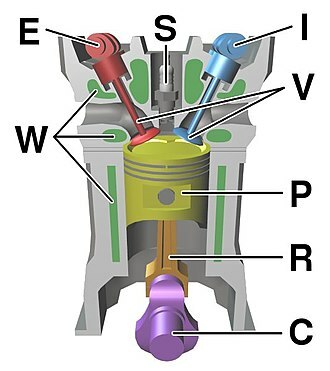 Although the V8 engine is shorter than the V10 used in the F2005, the wheelbase was retained via a new longer gearbox casing. The 248 F1 is the last Ferrari Formula One race car to use the single keel technology, some notable features of the new model are the rear view mirrors, which are now mounted on the edge of the sidepods of the car rather than conventional position beside the cockpit. At the start of the season the car featured a plane front wing. 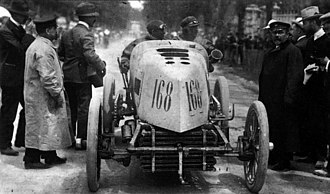 After the first three races, it was replaced by a plane wing, in order to generate more airflow to the underside. Revised rear bodywork was introduced for the French Grand Prix, with a more waisted lower body around the exhausts. 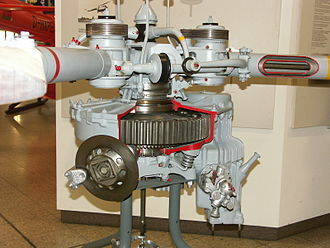 The engine has been reported to have had an output of 730 bhp at the start of the 2006 season. 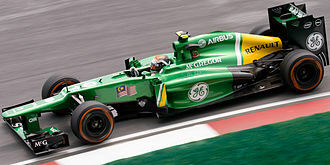 The car performed well in qualifying at the opener, the Bahrain Grand Prix. However the performance of the car was not as fast as the Renault R26 in the first half of the season. This problem continued to affect the car for the Australian Grand Prix, an aerodynamic upgrade introduced for the San Marino Grand Prix brought the pace of the car to approximately level with the Renault. 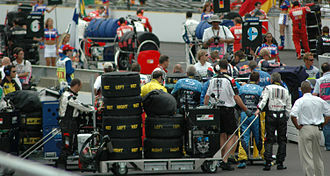 At the United States Grand Prix, in Indianapolis, Ferrari were dominant all weekend and this seemed to represent a genuine turning point for the cars competitiveness. 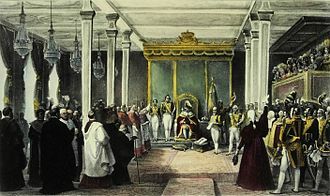 Massa claimed his win at the Turkish Grand Prix and won his home race in Brazil. 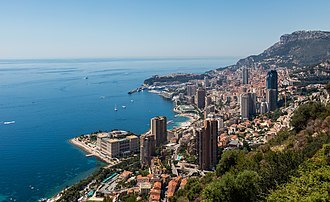 As a result of the cars improved form and Schumacher were able to close the gap to Renault, the car gave Ferrari 9 race wins and 7 pole positions, and second-place finishes in both the Drivers and Constructors World Championships. Pedro de la Rosa driving for McLaren during Friday practice as third driver. 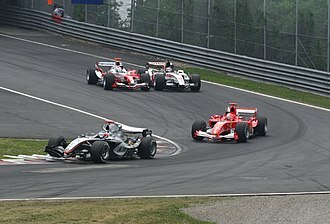 The battle for fifth place continues on lap 4 as Kimi Räikkönen leads Michael Schumacher, and just behind Jarno Trulli attempts a move on Takuma Sato for seventh. 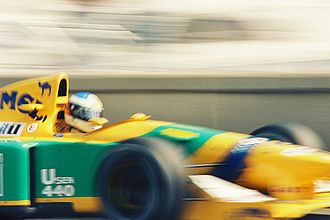 The two Renault drivers led the race in its early stages, with Giancarlo Fisichella ahead of Fernando Alonso. Both eventually failed to finish. Jenson Button took pole position in qualifying for the BAR team. 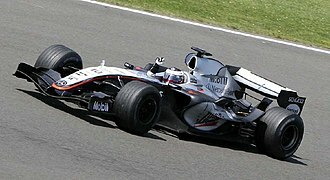 The race was won by Juan Pablo Montoya, his first victory for McLaren. Fernando Alonso took pole position, but had to give best to Montoya in the race. The race was won by Fernando Alonso in the Renault.